Especially in recent years, the restaurant industry has proven to be a fast-paced business that requires constant evolution; standing still often means getting bypassed. So it’s no wonder restaurateurs are forever on the hunt for their next greatest hit. Many are taking a turn from their fine-dining pedigree, following the consumer trend of wanting faster, more convenient service. Consumer interest in fast-casual dining remains high, with many saying fast-casual offerings have improved in recent years. Thirty-five percent of diners say fast-casual food has improved over the last two years, and 34% say the overall dining experience has gotten better, according to Technomic’s 2018 Future of LSR Consumer Trend Report. Here’s a look at the latest fast-casual iterations from operators with long track records. Will Danny Meyer do for tacos what he did for burgers? 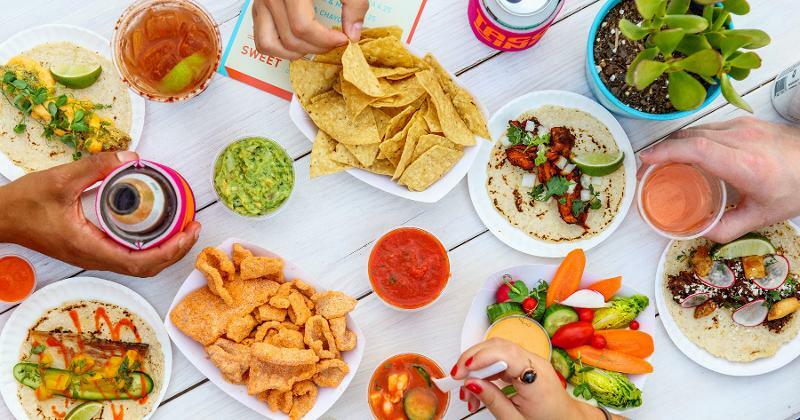 That’s the underlying question behind Tacocina, the Brooklyn taco shop launched in June by Meyer’s Union Square Hospitality Group. The new counter-service concept, located in Domino Park, a 6-acre waterfront green space, features a simplified menu of six tacos, chips, salsa, shrimp cocktail and adult beverages. The year-round taco restaurant has outdoor seating for more than 100 people. 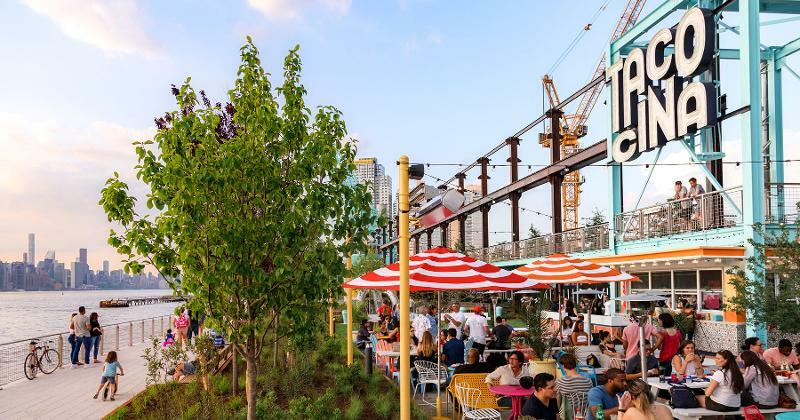 The diverse seating options look like what one might find at a backyard barbecue, with communal picnic tables and metal stools, as well as more intimate two tops in fiesta-ready, brightly colored woods and metals. The restaurant’s tortillas are made from an heirloom corn variety sourced from Mexico. So will Tacocina become the next Shake Shack? After all, Shake Shack got its start in Madison Square Park (and Meyer’s Union Square Cafe helped revitalize the park of the same name). “I think there’s one Shake Shack and it doesn’t come along more than once in a lifetime,” Meyer told the Wall Street Journal. Meyer originally mulled a seafood spot for the waterfront property, but decided the comforting, easy menu of tacos would be a better fit. Union Square Hospitality Group holds a 10-year lease on the space. Michelin-starred French chef Daniel Boulud has made a career in fine dining. 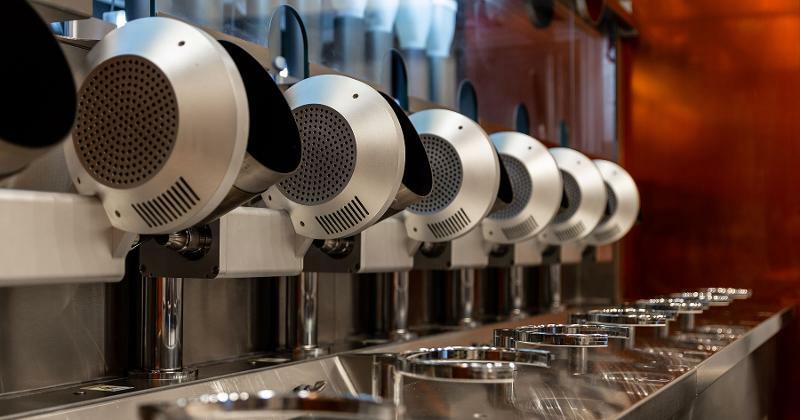 But Boulud recently teamed up with a handful of MIT students to create Spyce, a heavily automated Boston fast-casual restaurant that features low price points and robot-cooked food. Diners order the customizable $7.50 bowls via kiosk, and premeasured ingredients are auto-loaded into a nonstick pot for cooking. Hot water jets are automatically triggered to rinse the cooking pots after each order, reducing human labor needs. The multiconcept operator behind the full-service BLT brands, including BLT Steak, is venturing further into fast casual with the help of Samantha Wasser. Co-founder and Creative Director Wasser is also co-founder of the growing vegan chain By Chloe, which received a $31 million investment in April. ESquared Hospitality and Wasser recently debuted Middle Eastern fast-casual restaurant Dez, which was opened in partnership with Co-founder and Chef Eden Grinshpan. It joins an already-crowded category with a menu of bowls, salads, pitas and hummus. Dez serves weekend brunch, as well as beer and wine. Nobody’s quite been able to crack the nut that’s a delivery-only restaurant. But chef Michael Pirolo, who runs full-service Italian restaurants in Miami and New York City, is giving a delivery-focused operation a try with Pirolo’s Panino. The Los Angeles fast-casual restaurant, which grew out of pop-ups in Miami, dishes up chicken Parmesan sandwiches, baked pastas and other Italian comfort foods. There’s limited counter seating, with a concentration on off-premise. Pirolo and his partners (who include the former president of SBE’s Disruptive Restaurant Group) are planning a delivery-only version of Pirolo’s Panino for downtown Los Angeles, as well as a more traditional fast-casual unit in Santa Monica, Calif.